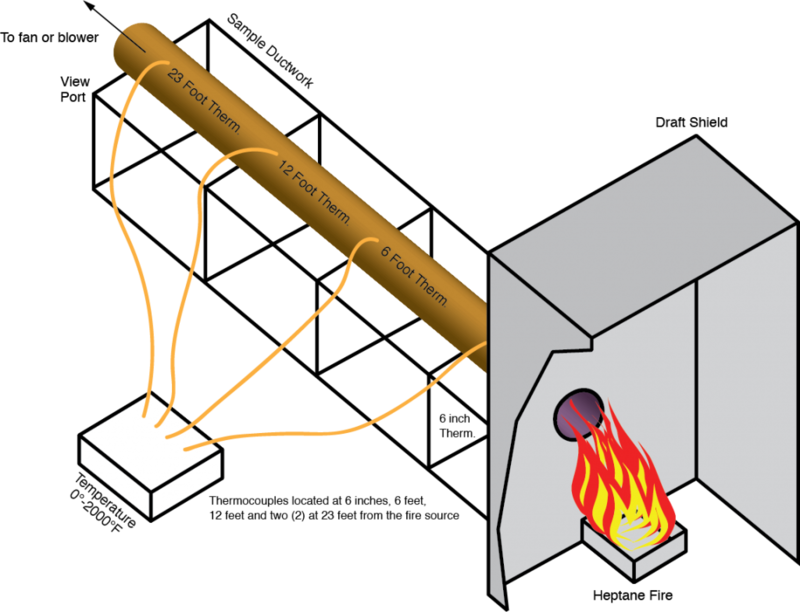 The temperature at the 23 foot (7.0 m) thermocouple shall not exceed 1000°F (538°C). Flames shall not be seen at 23 foot (7.0m) viewport. No smoke was emitted from the re-exposed end or from the exterior surface of the duct (during the retest).